The SLR in-line rotary picker is designed for defeathering of all types of poultry. 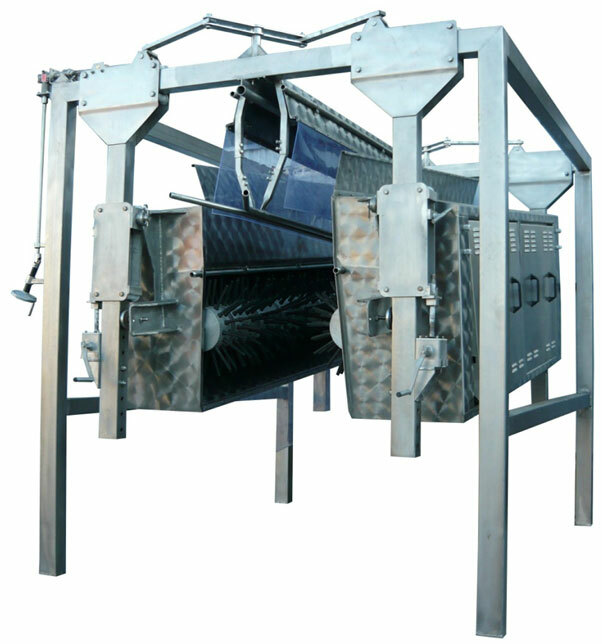 The supporting structure and casing are made of stainless, acid-resistant steel. The picker is equipped with a horizontal adjustment system and mechanical lifts, which allow for adjusting the position of the picking head casing. Depending on the size of processed birds, the position of picking head casings towards the transported carcasses can be properly adjusted. A great advantage of the SLR picker is its compact and simple design, which allows for keeping the machine clean and provides easy access to its components for replacement.